Offer the customer savings with quality being a top priority! Label Printing Services serving Dallas Texas ( DFW ) area, North Texas and Nation wide. 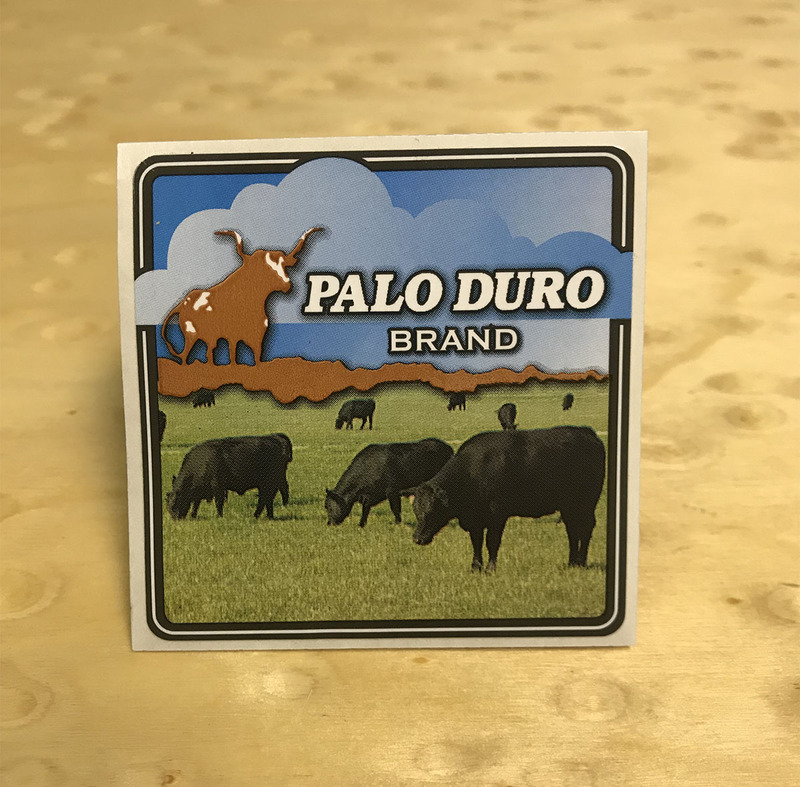 Dallas TX Label printing services | Pressure Sensitive and Thermal Transfer Labels, we offer product labels, packaging labels, supermarket labels and specialty labels. Our label printing services offers Pressure Sensitive Labels, Thermal Transfer Labels. 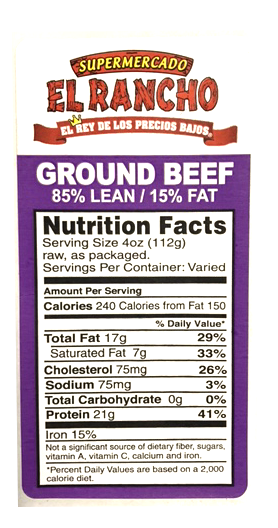 Specialty labels include but are not limited to security and barcode purposes. We also manufacture a wide array of scale labels that offer more than just a price. It can include ingredients, safety warnings, data collections, and bar-codes. Most importantly the labels will advertise your company and products to your customers. To add to our diverse product lineup, we also market thermal cash register rolls manufactured in the USA at a competitive rate. 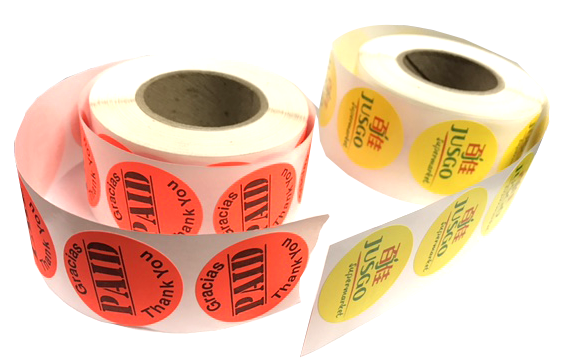 Labels come in all different finishes and have the ability to adhere to various surfaces. 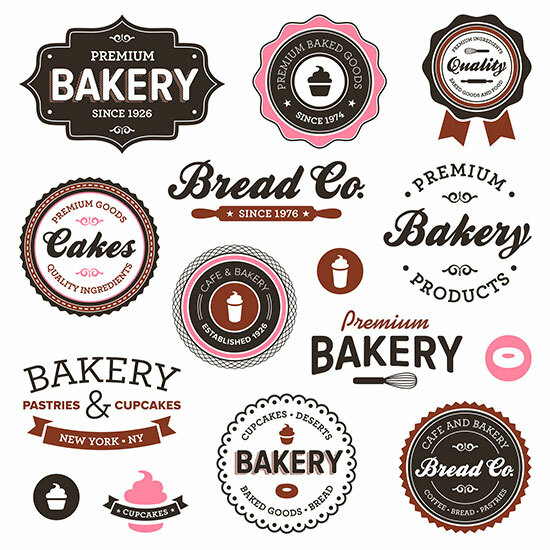 Our portfolio includes paper labels, plastic/vinyl labels, and even tags. Paper will be the most common type of stock used for labels. Two common types of paper stock would be thermal transfer and direct thermal paper. Thermal transfer paper has a longer shelf life and will not fade with time or heat. 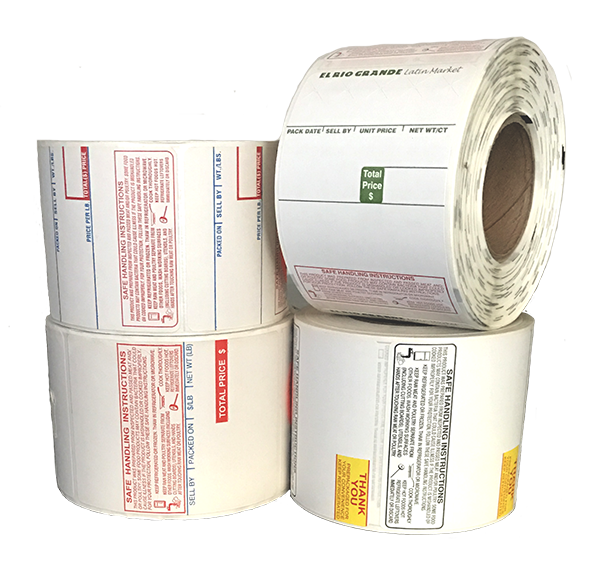 Direct thermal paper has a shorter shelf life and will fade with time and heat. 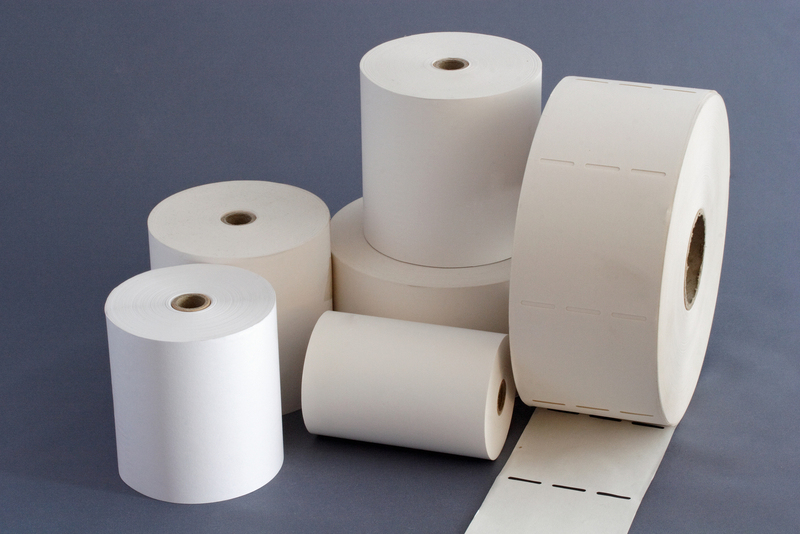 For example, cash register rolls are made with direct thermal paper. Once the paper is heated it will become black. Depending on your needs, our labels can be made to be easily applied and removed or to be permanent. 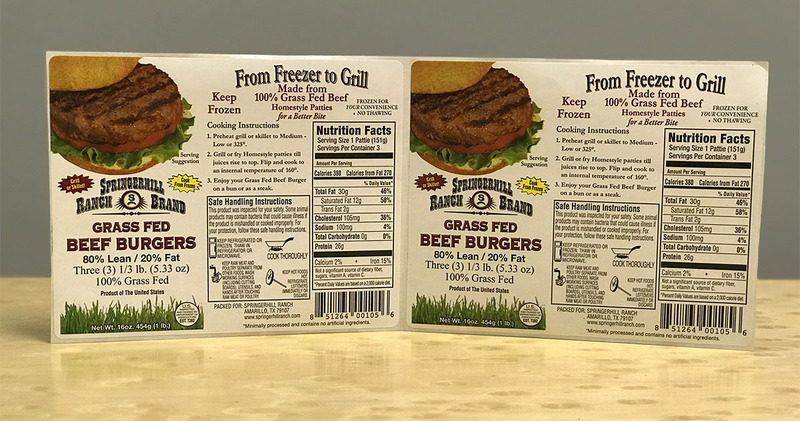 For frigid temperatures, we offer a label with a freezer grade adhesive to withstand those conditions. If you need your label to disappear, we can make that happen. Dissolvable labels, commonly used on produce and meat products, disintegrate once water is applied to it. 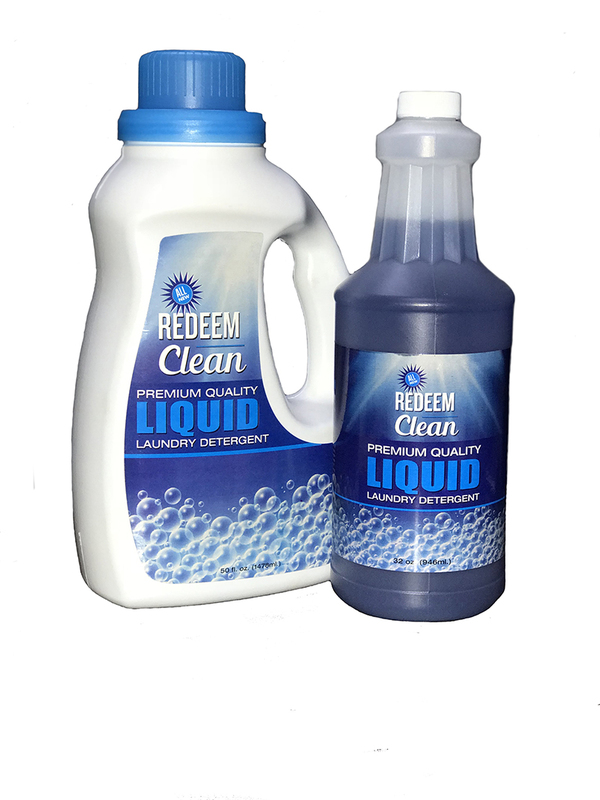 This is an environmentally friendly product that provides the information you need for a limited time. Colors! We at Label World & Distribution use environmentally friendly inks to give you the color combinations you need to have your label standing above the rest.